Head and Neck Cancer Research provides an opportunity to researchers and scientist to explore the advanced and latest research developments in the field of head and neck cancer and related academic disciplines. The journal is focused on publishing articles on various areas of cancer like otolaryngology, throat cancer, thyroid cancer, tongue cancer, tonsil cancer, mouth cancer, lip cancer, nasal cavity cancer, soft palate cancer, paranasal sinus cancer, parathyroid cancer, salivary gland cancer, endocrine & many more and recent research in these areas. The Journal provides an open access platform to publish latest advancements in all aspects related to head and neck cancer. 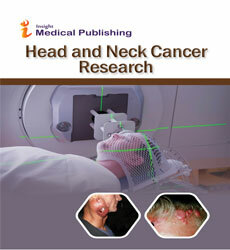 Head and Neck Cancer Research is a multidisciplinary journal which publishes high quality original research studies, case studies, clinical trials, case reports, editorials, hypothesis, methodology, short reports, study protocols, clinical features, diagnosis, treatment and management of patients with neoplasms in the head and neck and reviews. Welcome to the Journal Portal! This is a resource for physicians to discover the latest findings in the area of head and neck cancer research through scientific abstracts. Esthesioneuroblastoma (ENB), also known as olfactory neuroblastoma, is a rare neoplasm originating from olfactory neuroepithelium. Due to the rare and complex nature of ENB, multiple opinions exist regarding the etiology, optimal staging system, and treatment modalities. These tumors often display varying biologic activity ranging from indolent growth, with patient survival exceeding 20 years, to a highly aggressive neoplasm capable of rapid widespread metastasis, with survival limited to a few months. The floor of the mouth cancer is a horseshoe-shaped area under the tongue, between the lower jaw bones (the mandible). When a malignant tumor grows in this area it is called floor of the mouth cancer. Most people have heard of cancer affecting parts of the body such as the lungs or breasts. However, cancer can appear in the mouth, where the disease can affect the lips, tongue, cheeks and throat. Anyone can be affected by mouth cancer, whether they have their own teeth or not. Mouth cancers are more common in people over 40, particularly men. Lip cancers are growths of abnormal cells that develop on the lips. They are the most common type of oral cancers. These are cancers that develop in thin, flat cells—called squamous cells—that line the mouth, tongue, cheeks, sinuses, lips, throat, and hard and soft palates. Lip cancers and other kinds of oral cancers are types of head and neck cancers. Certain lifestyle choices, such as smoking, drinking, and tanning, increase your risk of developing lip cancers. Dentists are the first line of defense against lip cancers, as they are typically the first to notice signs of lip cancers, often during a routine dental exam. Laryngeal cancer is not as well known by the general public as some other types of cancer, yet it is not a rare disease. Even for survivors, the consequences of laryngeal cancer can be severe with respect to voice, breathing, or swallowing. It is fundamentally a preventable disease though, since the primary risk factors for laryngeal cancer are associated with modifiable behaviors. Mouth cancer also known as oral cancer, is where a tumor develops on the surface of the tongue, mouth, lips or gums. Tumors can also occur in the salivary glands, tonsils and the pharynx (the part of the throat from your mouth to your windpipe) but these are less common. Anyone can be affected by mouth cancer, whether they have their own teeth or not. Mouth cancers are more common in people over 40. Most cases of mouth cancer are linked to tobacco and alcohol. Cigarette, cigar and pipe smoking are the main forms of tobacco. However, the traditional ethnic habits of chewing tobacco, betel quid, gutkha and paan are particularly dangerous. Nasal cavity or Paranasal sinus cancer may experience the following symptoms or signs. Sometimes, people with nasal cavity or paranasal sinus cancer do not show any of these symptoms. In fact, these types of cancer are usually diagnosed in their later stages because early stage cancer typically does not cause any symptoms. Cancer begins when normal cells in the body change and grows uncontrollably, forming a mass called a tumor. A tumor can be cancerous or benign. A cancerous tumor is malignant, meaning it can spread to other parts of the body. A benign tumor means the tumor will not spread and usually can be removed without growing back. Nasopharyngeal cancer is a rare type of head and neck cancer. It starts in the upper part of your throat, behind the nose. This area is called the nasopharynx. The nasopharynx is precariously placed at the base of your skull, above the roof of your mouth. Your nostrils open into the nasopharynx. When you breathe, air flows through your nose into your throat and nasopharynx, and eventually into your lungs. Nasopharyngeal carcinoma is a rare tumor arising from the epithelium of the nasopharynx. It accounts for approximately 1% of all childhood malignancies. Whereas almost all adult nasopharyngeal cancers are carcinomas, only 35-50% of nasopharyngeal malignancies are carcinomas in children. In the pediatric population, additional nasopharyngeal malignancies include rhabdomyosarcomas or lymphomas. Parathyroid cancer is a cancerous (malignant) growth in a parathyroid gland. The parathyroid glands control the calcium level in the body. There are four parathyroid glands, two on top of each lobe of the thyroid gland, which is located at the base of the neck. Parathyroid cancer is a very rare type of cancer. Men and women are equally affected. It usually occurs in people older than 30. The cause of parathyroid cancer is unknown. People with a genetic condition called multiple endocrine neoplasia type I have an increased risk of this disease. People who had head or neck radiation may also be at increased risk. Such radiation exposure, however, is more likely to cause thyroid cancer. The sinuses are a connected system of hollow cavities in the skull. The largest sinus cavities are around an inch across; others are much smaller. The sinuses are lined with soft, pink tissue called mucosa. Normally, the sinuses are empty except for a thin layer of mucus. The inside of the nose has ridges called turbinates. Normally these structures help humidify and filter air. The nose is divided in the center by a thin wall, called the septum. Most of the sinuses drain into the nose through a small channel or drainage pathway called the middle meatus. The purpose of the sinuses is unclear. One theory is that sinuses help humidify the air we breathe in; another is that they enhance our voices. The soft palate cancer is commonly called the roof of the mouth. It is divided into two parts: the bony hard palate in the front, and the fleshy soft palate (called the velum) in the back of the mouth. The hard palate is part of the oral cavity and the soft palate is part of the oropharynx. The hard palate creates a barrier between the mouth and the nasal cavity. A natural opening in the palate for nerves and blood vessels (near the third molar) can create a passageway for a tumor to spread into the nasal cavity. The soft palate closes the nasal passage during swallowing so food does not enter the nose. It also helps create speech sounds. If the palate does not function correctly during speech, air escapes through the nose, and the speech has a nasal sound. During a sneeze, the soft palate closes the nasal passage to protect it. Substances in the sneeze are thrown out into mouth. Tongue cancer is a form of cancer that begins in the cells of the tongue. Several types of cancer can affect the tongue, but tongue cancer most often begins in the thin, flat squamous cells that line the surface of the tongue. The type of cells involved in your tongue cancer helps determine your prognosis and treatment. Upper esophageal sphincter (UES) has also been referred to as the inferior pharyngeal sphincter because it is located at the lower end of pharynx and guards the entrance into the esophagus. It has two major functions: (1) to prevent air from entering into the esophagus during breathing and (2) to prevent reflux of esophageal contents into the pharynx to guard airway aspiration. The upper esophageal sphincter (UES) is a bundle of muscles at the top of the esophagus. The muscles of the UES are under conscious control, used when breathing, eating, belching, and vomiting. They keep food and secretions from going down the windpipe.